The Best Tips To Decorate Your Home For Valentine’s Day. Interior Decorator Bangalore – Valentine’s day is not only for lovers. You can spend it with everyone with whom you share an adorable relationship. Your friends, families, and even colleagues can be part of your Valentine’s day celebration if you don’t want to enjoy the day alone. Well, the joy of the day starts from decoration. Your home must be looking wonderful for the valentine week so that everyone living there and visiting you feels best. Since it’s a valentine, there should be something Valentine specific in the decoration to make the home more beautiful. This wonderful time of year seems so much better when your house is also prepared to welcome the day with you. So, if you are excited for this Valentine’s day, here are some tips to make your home feel equally excited. You can also take the help of professional Interior Decorators in Bangalore if you want to make it more impressive for your loved ones. Valentine’s day can never get the real charm without the lovely red color. Well, we all know the importance of white because it makes the color turn out more beautifully. So, the theme for your valentine decoration must be red and white. The base should be white decorated with red like red hearts over a white bed sheet. However, this is not a compulsory rule, because above all what matters is your personal interest. The tree need not to be limited to Christmas only. This year, you can give your home a new look with a Valentine’s tree. The tree can be small or big depending on what is readily available. Decorate the tree with heart-shaped balloons, paper cuttings in the heart shape, and some small gifts. If the tree is too delicate and small in size, decorate it with only paper and ribbon cuttings. However, if the tree is bigger, you can hang small gifts also. You can pack small things like keychains, pendants, rings, or even sweets and gift them to the guests after the party. According to Interior Decorators in Bangalore, no decoration is complete without flowers, and when you are decorating for the valentine’s day, they are a must-have. Bring beautiful flowers especially roses and create an impressive flower display. If you don’t want a flower display, pick up some beautiful roses for your table pot. You can also make a bouquet for your partner at home to surprise him/her with some more love. No, am not suggesting you wear hearts garland on the valentine’s day. Use the focal point of your room, the mantle, to start decorating the room for the day of love. Use a string to make a paper garland that displays some of the most beautiful things. Hang hearts, cute pictures, and love messages written on the paper. You can go as creative as you can because there are unlimited ways to style the garland. You can use playing cards of heart, heart shape paper cuttings, pictures of you and your partner in a heart shape, and even simple paper with quotes trimmed in heart shape will make it awesome. Nothing is more romantic than a candle. The dim light and warm feelings create such an amazing atmosphere in the room. The romantic candlelight dinner must be your all-time favorite, but this year you can make even better use of candles to give a sophisticated look to your entire home. Buy pretty valentine special candles from the market and put them everywhere in the house. Make it an only candles night by switching all the lights off and glowing your home with only candles. 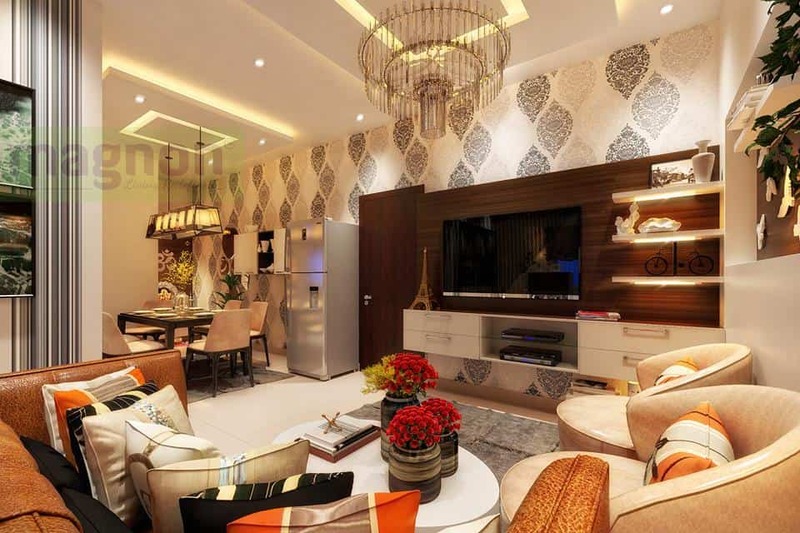 Luxury interior designers in Bangalore can help you more if you want something outstanding. Transparent jars are your best buddies if you are throwing a party on the valentine’s day. Not only they look great even with small decoration; they are best to prevent sweets and chocolates from the attack of bugs or insects if there are any. Cover the jars with ribbons and decorate them with glitter for a radiant look. Fill them with small chocolates, heart-shaped cookies, and sweets. You can also gift to your partner. Wall arts are the most beautiful things. You can transform your whole room with walls art in no time. You can easily find a lot of valentine’s day special wall arts in the market. Choose the best one and let it make your walls more beautiful. If you want to go creative, make the wall art yourself with paper and ribbons. You can also frame some of the heart graphics and hang them on the wall. The Interior Decorators in Bangalore believe that you can change your home a lot by just adding some pillows. However, if you don’t have that much space to add more pillows, just change the covers and you are done. Buy pillow covers that have hearts and lovely quotes printed on them. You will see that how they made your home look so much better in no time. Use colors like red, golden, and pink for the best look plus burlap is a good choice if you are confused with fabric. Printables are best when you are in a hurry. Explore online websites for some beautiful pictures, quotes, and valentine special things. The vital part here is using a quality printer to print them because otherwise, it will not look good. Printables can be used to make everything mentioned above, and that’s why you can do everything yourself at home if you have a printer. Whatever you drink, wine coffee, or hot-chocolates, a valentine’s beverages bar can be the best thing. Since it’s cold outside, you will surely want something hot to keep yourself warm, and that’s why a beverages bar will do wonders to the party. Don’t forget to use printables to decorate it because it also needs to be valentine perfect.